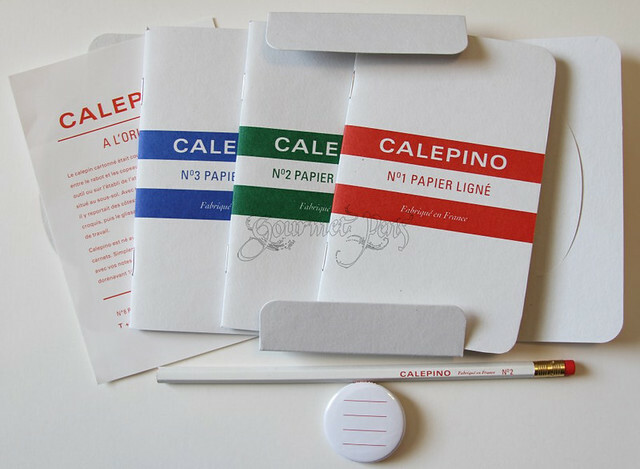 Soooooooo, I have been itching to try Calepino notebooks forever, and I just never bit the bullet on them. Why? They just aren't available at my usual retailers. 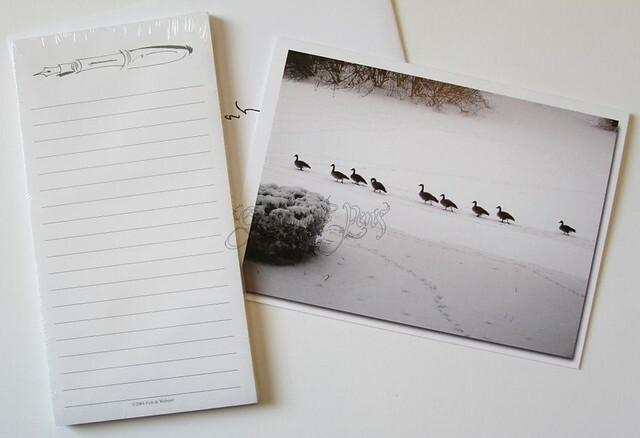 Steve sent me this very pretty parcel here. 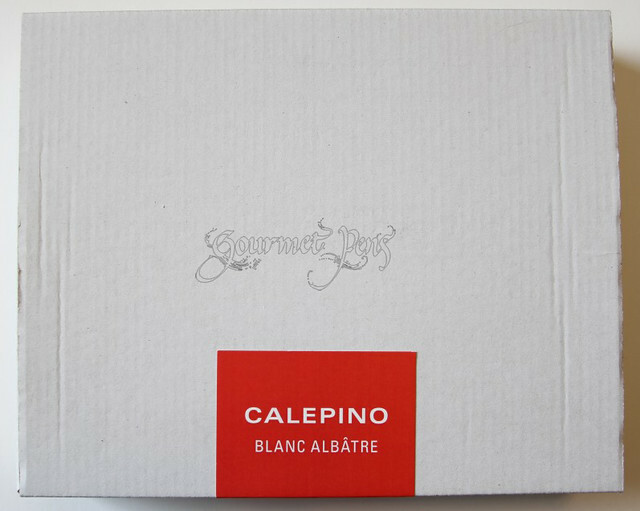 Inside the box...Calepino goodies!!! HAEHAEHAHEAHE! I don't know if this was just sheer luck or if he already knew, but I am obsessed with tote bags. It is one of my "associated addictions". 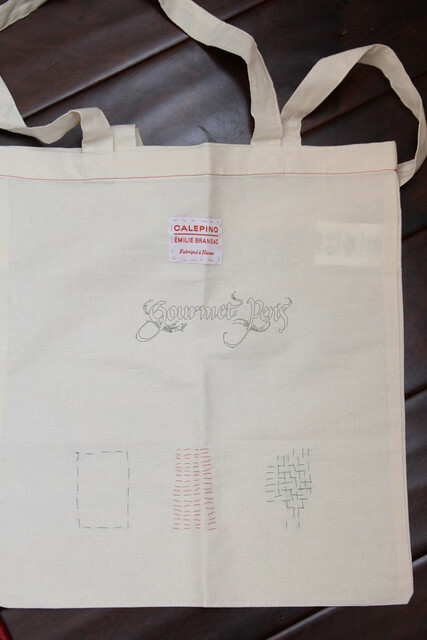 A Calepino tote bag? Magical. This is practically a unicorn. My real mailbox is pretty awesome, but sometimes my e-mail box (is that a thing? E-box?) is pretty lucky too. 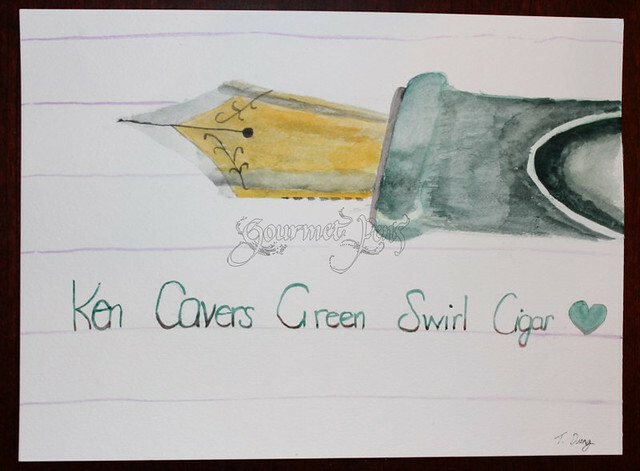 My pen-pal Tiffany sent me this - a painting she did of my Ken Cavers green swirl cigar fountain pen. It's pretty darned good, I'd say. Thanks Tiffany, I love it! 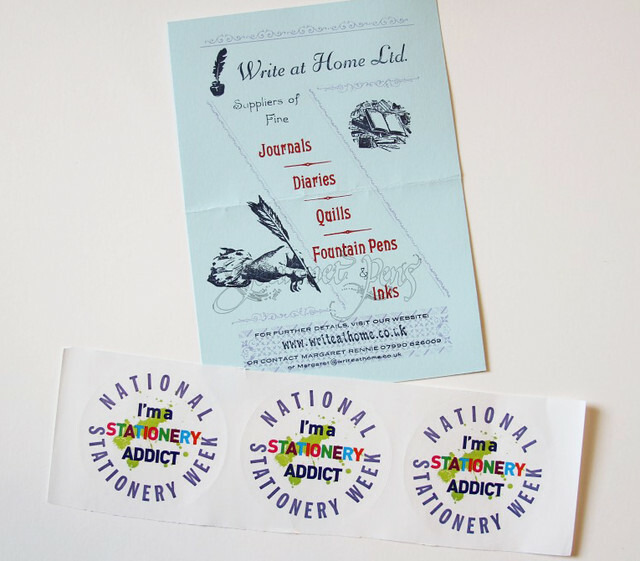 I also received some National Stationery Week stickers from Margaret at Write At Home! Thank you Margaret! You all know I love stickers, and I have now discovered another site to peruse, woo hoo!